UWS-100, Wireless system from Nady. Nady Systems recently announced the introduction of their UWS-100. The UWS-100 is a new 100-channel, select UHF Wireless System with 100 frequencies per 24MHz wide band, that are manually selectable or by autoscan feature for open channels. The UWS-100 offers PLL UHF performance with 120dB dynamic range and operation up to 500’ line-of-sight. Other features include: ASC (Auto-Sync Channels) download which sends selected Group/Channel information to the transmitter using the IR sender for easy frequency synchronization; Tone Squelch circuitry for protection from RF interference; Front Panel Touch control buttons for ease-of-channel selection; ASC operation; and DigiTRU Diversity for maximum range and dropout protection. The UWS-100 receiver features all metal housing. 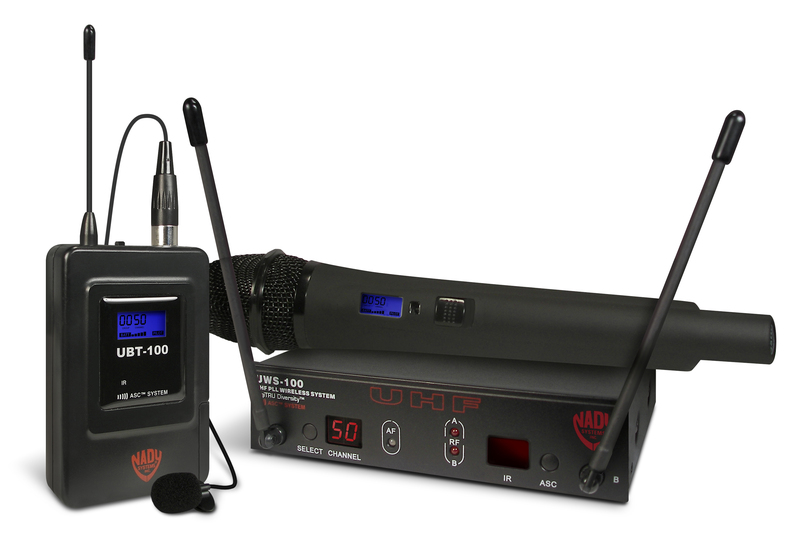 Choice of transmitters include: UHT-100 handheld or UBT-100 bodypack with choice of 3 input select modes—LT for lavalier mic use, HM for Headmic use, or GT for instrument use. All transmitter options provide 100 selectable channels using the ASC IR download of the selected channel for easy synchronization with receiver. The UWS-100 should ship in July, 2010. Peavey Impulse 12D Powered Loudspeaker The new Peavey Impulse 12D powered loudspeaker features a true ribbon driver and a 12" Peavey Black Widow loudspeaker engineered with dual voice coil, push-pull technology and a neodymium magnet.